Physicists at Fermilab in Batavia, Illinois are in a race against time. Their Tevatron accelerator has been top dog for nearly 20 years, being used to discover the bottom quark in 1977 and the top quark in 1995. Now, nearing retirement, Fermilab is trying to find the holy grail of particle physics—the theorized Higgs boson. But there’s a new player on the field, and it’s a giant—CERN’s Large Hadron Collider. 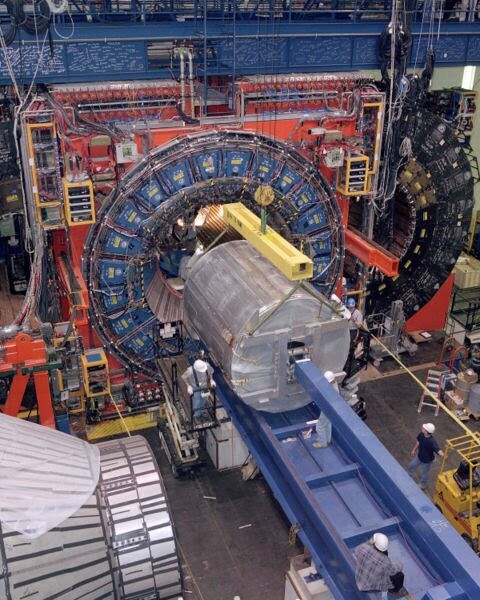 Once fully operational it will be seven times more powerful than the Tevatron. Even running at half strength it has already set the record for the most-energetic particle collision ever created by man. 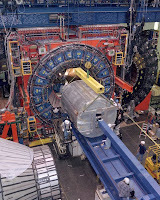 If the Higgs particle exists, this machine will find it. Will Fermilab be able to pull off one more great discovery before they retire the Tevatron, or will the Higgs be found by CERN? Place your bets. 1) The Higgs boson is also known as ____________________. 2) True or false: there are four known fundamental forces in the universe—electromagnetic, strong, weak and gravitation. 3) A hydrogen atom that has lost its electron is also known as ____________________________. 4) True or false: In physics, TOE stands for theory of everything. 5) The idea that elementary particles are made of one-dimensional vibrating lines is called ____________________________.